SB4 will allow local law enforcement officers in Texas to ask about a person's immigration status during any lawful detention. Leaders fear it will turn police officers into immigration agents. It was a Sunday afternoon, and few people expected such a quick legal challenge when Governor Greg Abbott surprisingly showed up on a livestream from his private office signing a controversial law to facilitate deportations in Texas. Less than a day later, the small-town mayor Raúl Reyes and a border-county sheriff named Tom Schmerber had already sued the governor to stop the new law from being implemented. Fearing the measure would turn police officers and sheriffs into immigration agents, leaders from some of the biggest cities in Texas have followed suit. 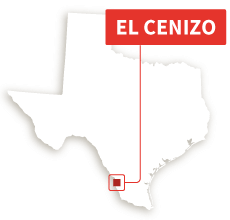 Univision News traveled to Texas to speak with some of these leaders, starting in El Cenizo, where Reyes says he never second-guessed his decision to be the first mayor to challenge the law. "I'm the mayor of a very small city on the border that no one even knows exists,” he says, walking along the Rio Grande that separates the United States from Mexico. "I've held this office for over twelve and a half years. And as long as I'm here, I'm going to keep doing what I've done my whole life: work, plead and fight for the civil rights of my community." SB4 would force Reyes to break El Cenizo's long-standing sanctuary policy, which was approved in 1999 and prohibits any local official from asking about a person's immigration status. Eliminating such policies is one of the clearest purposes of the new state law. It would punish local entities that refuse to cooperate with immigration law enforcement, a move that will expand the reach and cooperation that the federal government can count on as it deports undocumented immigrants in any city, county, university campus or jail in Texas. “Neither Border Patrol nor any police department should be patrolling city streets, stopping people, asking who they are, where they’re from, and asking for their papers,” said Reyes, whose own grandmother came to the United States illegally. Starting September 1, Reyes will be forced to allow police officers to ask anyone in El Cenizo for their papers, even if they have only been stopped for a simple traffic infraction. The mayor insists he will not comply with the law, something that—according to the text of SB4—could get him thrown out of office. SB4 imposes fines on local governments that don't cooperate with deportations. It also allows the Texas attorney general to ask for the removal from office of anyone who does not abide by the law. Reyes says he won't back down. "This is bigger than Raul Reyes," he says. "This is bigger than El Cenizo. This is bigger than Texas. This will define the future of our country." In Maverick County, Sheriff Tom Schmerber also disapproves of SB4. He can't believe Texas wants him to do the work of federal immigration agents, a job he's familiar with after serving for 26 years in the Border Patrol. "We (in the sheriff’s department) have always worked with the immigration agencies, be it ICE (Immigration and Customs Enforcement) or the Border Patrol," said Schmerber, a week after joining the plaintiffs against the new law. "But with SB4, it’s very different. The state is telling the sheriffs how to do their job, and if we don’t do it, they can strip us of our title or they can even arrest us," said Schmerber. The sheriffs adds that Maverick County already has two Border Patrol stations and a vast number of immigration agents who, unlike his own deputies, are actually trained to deal with enforcing the country's immigration laws. "That's their job," he says. The legal battle against SB4 made its way to the capital on March 16, when leaders from Dallas, Austin, El Paso, Houston and San Antonio met in front of the state capitol building to declare a "summer of resistance" against the measure. The effort is being led by Austin councilman Greg Casar, who insists SB4 could inspire similar anti-immigrant measures throughout the country. "We have to stop the law in Texas because we know that the entire country, and even President Trump, are looking to see if it will be implemented or if it will be stopped in the courts," says the Mexican-American politician, who was detained in May for protesting against the law in the governor’s office. For those opposing SB4, the battle is now in the courts. Last Friday, Austin and San Antonio filed the third lawsuit attempting to stop the law, following the one presented by El Cenizo and Maverick County, and another filed by El Paso County. Casar fears the new Texas law will force Austin police officers to help ICE in their big enforcement operations, like one in February in which more than 50 Mexicans were detained. "To me, part of why SB4 is so terrifying is that an ICE operation happens every once in a while. But we have over 1,700 Austin police officers that work here day and night. And what the governor and lawmakers want is for the kids in my district to feel terror every time they see a police officer, not knowing if they’re here to protect them or tear up their family. And there's no issue that has engaged more people and no issue I've been asked more about as a councilmember than this one," he says. For Congressman Rafael Anchia, who represents Dallas in the Texas House of Representatives, SB4 has evoked powerful emotions and a sense that his community is under attack. “We are going to sue the state so that this law does not pick up steam. We are going to protest and we are going to march because no superhero is coming to save us,” said the congressman, whose mother came to the United States from Mexico at the age of nine. Anchia has helped assemble the resistance against the law, using his contacts as the former chair of the board of the National Association of Latino Elected Officials (NALEO) Educational Fund to rally different Hispanic leaders in Texas. The Dallas legislator also firmly opposed the law while it was being discussed in the Texan capitol, giving an impassioned speech in which he admitted to feeling "a lot of anger" at what the law might do in Texas. "As an immigrant whose mother came from Mexico, I take this very personally," said Anchia, refusing to answer a question about the possible electoral effect the law could have in 2018. "My primary concern is to defend the community. If there are ramifications in the future, I don’t want to predict what will happen in 2018. All I know is that, in the short term, this law will terrorize our community and that is what matters right now." Dallas recently pledged it would join the legal efforts against SB4; Mayor Mike Rawlings announced on Wednesday that the city would " challenge this bill in court." 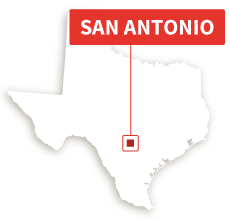 So far the largest city to challenge SB4 is San Antonio, where opponents of the law say it could have a negative economic effect, similar to what happened in Arizona after that state passed a similar measure, SB1070, back in 2010. If SB4 becomes law, Texas could lose millions of dollars in industries that would suffer from the fear among immigrants and hispanics, according to Brianna Dimas, spokesperson for the Hispanic Chamber of Commerce of San Antonio. This Wednesday, the American Immigration Lawyers Association (AILA) decided to relocate its 2018 annual convention from Texas to protest SB4, marking perhaps the first direct loss of revenue in the state over the new law. The Chamber of Commerce cites a study by the Center for American Progress in Phoenix, Arizona, which estimated the city lost $141 million in the four months following the implementation of SB1070. “We don’t want Texas to make that same mistake,” she said. Rey Saldaña, a San Antonio councilman, stressed last week that San Antonio “should not be the last” city to sue Texas over SB4. "Texas cities need to band together in fighting back a legislature that has lost sight of problem solving", he said recently, "and is wholly consumed by the politics of manufacturing fear and anger towards the most vulnerable in our community." 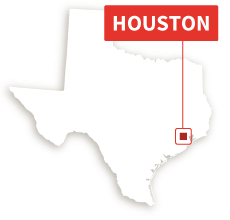 The biggest city in Texas, Houston, has yet to commit to the legal effort against SB4, even though its police chief Art Acevedo has strongly condemned the measure. Mayor Sylvester Turner faced heavy criticism for his inaction at a town hall meeting with the immigrant community in mid May, where he asked the community to give him more time to evaluate SB4 once the legislative session ended. Turner reminded the community that SB4 will not take effect until September, explaining that there would be plenty of time to join the summer resistance. But many rejected his apparent patience.